Make 2017 better by adopting a friend for life. These cuties are striving to find a home so that they can shower you with cuddles, kisses and occasional ‘why did you leave me alone for five minutes’ looks. Butter is a cheerful goofball who loves to play. Unfortunately, he was hit by a car and had a fractured leg. But he’s all fine now. Take him home and you won’t need exercise. To adopt him, call +919819272385. View the Facebook post here for updates. Koko is a baby boy who was left stranded on the streets. 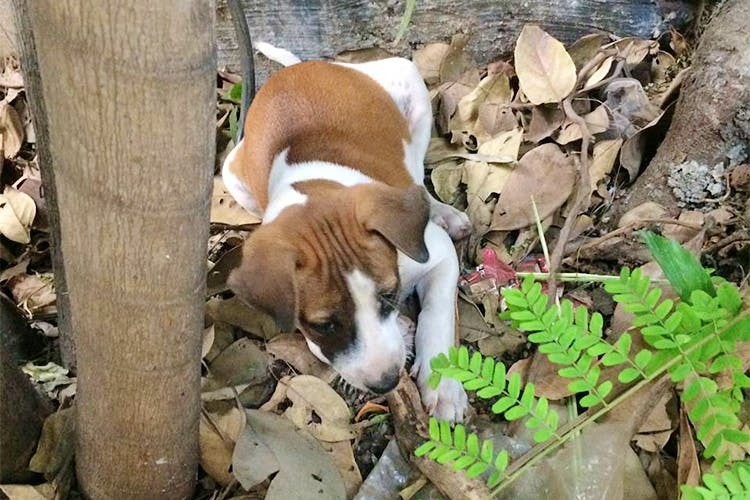 He’s currently being fostered in Andheri but he needs a forever home. You can call +919819272385 to bring Koko home. This duo has been looking for their forever since a long time now. They are sterilised and vaccinated and can be adopted separately also. Please call on +919820496099 or +919820564492 to adopt these cuties. Sheeba a one and a half month old baby who will make your world go round. A bright and energetic little puppy who loves people, she’s a fuss-free eater and a total sweetheart. Vaccinated and dewormed, call +917387097292 to adopt her.